An update on Saturday’s post: The Mars Phoenix Lander successfully touched down on Sunday and has started unpacking its bags. Like any good tourist, it has started taking pictures of itself. 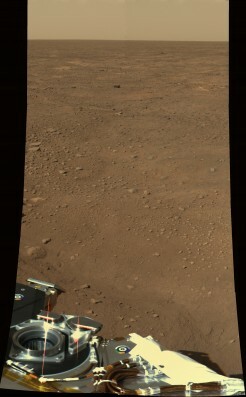 It’s also taken some lovely shots of the polar surface. 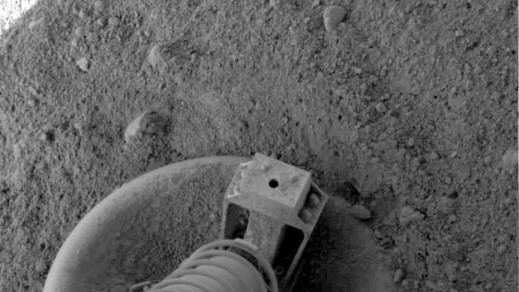 They show a delicate pattern of polygons etched into the dirt, strongly suggesting the presence of water. Michel Fournier has had less luck on his quest to become the first human meteor. On Tuesday, his crew began filling up the massive balloon that would be used to carry him to 130,000 ft. But for unknown reasons, the balloon decided to leave without him. 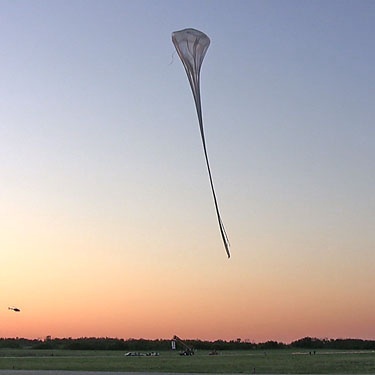 After shooting upwards, it began to lose helium, eventually plummeting to earth, tearing itself to shreds on the way down. I am not sad to see this mission fail. As I mentioned in my earlier post, Fournier’s seems like a project better designed for spectacle than science (though, as a student of the history of science, I admit the line is blurry). Fournier gets points for bravery. And this kind of jump had serious application once, in the early days of space flight, when no one knew what would happen to astronauts bailing out at high-altitude. But at 64, Fournier hardly offers science the best physiological model of a 35 year old astronaut. More to the point, for this sort of testing has been done before. 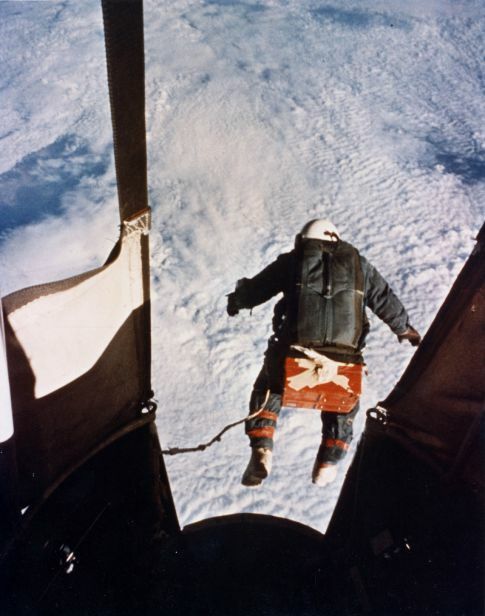 Fifty years ago, Joseph Kittinger set a jump record of 96, 760 ft as part of the Man High I Project. In 1960, he set the altitude jump record that still stands: 102, 800 ft. Now, Fournier will have to decide if he really wants to continue with “Le Grand Saut,” as they call it in French, or “The Man Seriously High Project” in the lower 48.